Rhea County, TN — October is Domestic Violence Awareness Month. It is a time in which we are able to educate about domestic violence, remember the ones we may have lost, and to stand up as a community to fight against domestic violence. Domestic violence may not be reported often or spoken about enough, but it is a huge problem in communities across the nation. Statistics tell us that nationally, 1 in 4 women, and 1 in 7 men have been victims of domestic violence. This year in a study released by the Violence Policy Center, Tennessee was ranked number 5 in the nation for women who were murdered by their intimate partner. 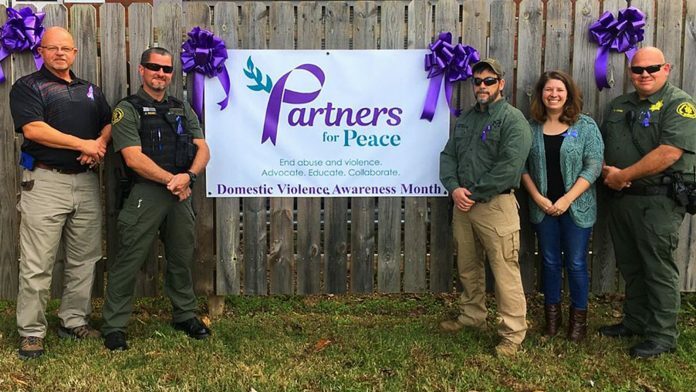 The Avalon Center has been working with the Rhea County Sheriff’s Department over the past year and a half to educate and provide awareness of Domestic Violence. The Avalon Center provides free and confidential services to victims and survivors of domestic violence and sexual assault and though those services will continue to be there, it takes a community to fight against domestic violence. This month, please be a voice to those who may not have a voice themselves to stand up to domestic violence. For more information for you or someone you love, please call the Avalon Center’s 24 hour crisis hotline at 1-800-641-3434. For more information on how you can get involved and be that voice to help others in need, schedule a presentation for a group you belong to about domestic violence, or with any questions about The Avalon Center’s services, please contact them either at the local Avalon Center’s office 931-456-0747.